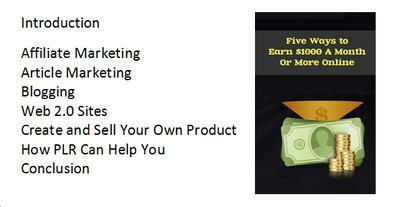 This is a 20 page PLR report in the Make Money Online niche. You can use this report as is or you can modify it to suit your needs. You can sell this report as an ebook.